The Baltic countries' farmers will Tuesday evening carry out a joint action to demand raising agricultural subsidies by lighting a bale of straw on every kilometer of the Via Baltica Highway. In Estonia the action will start in Tallinn's Town Hall Square where the Chamber of Agriculture and Commerce will organize a meeting of support to farmers. 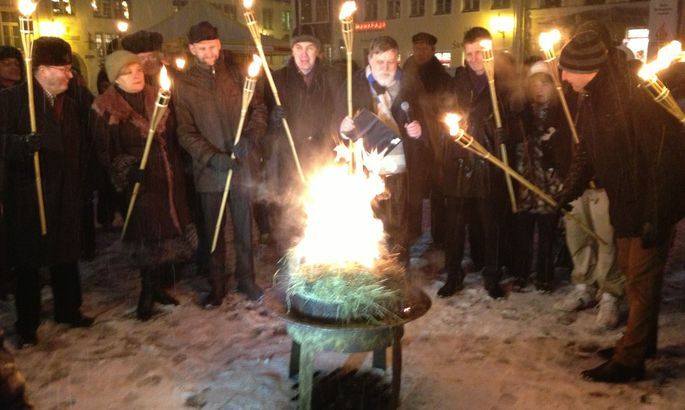 The bale of straw in Town Hall Square is expected to be lit at 5.30 p.m. and that will be the signal for lighting all the bales placed on the Via Baltica track. The Chamber of Agriculture and Commerce has registered a public event in Town Hall Square taking place from 5 to 6 p. m. on Tuesday. The Chamber of Agriculture and Commerce has invited to the Tallinn Town Hall Square event Agriculture Minister Helir-Valdor Seeder, Mayor of Tallinn Edgar Savisaar and representatives of parliamentary parties. The Baltic countries demand from the European Union bringing the direct farm subsidies up to 75 percent of the EU average. At present the direct subsidies paid to Baltic farmers make up 50 percent of the European Union average. In the opinion of the European Parliament's agricultural committee the direct subsidies to the Baltic countries' farmers could grow to 65 percent of the European Union average by 2017.